To get a bigger lead in the flagship smartphone market, the Galaxy Note 9 could see an earlier announcement in order to maintain Samsung’s smartphone dominance for 2018. According to latest reports, Samsung has started the Galaxy Note 9 firmware development. The Korean giant is testing two firmware builds for Galaxy Note 9 which will be released later this year. So, it is hardly surprising to receive reports about the Galaxy Note 9 firmware development as this process normally begins some months before a phone is slated for release. For instance, the Galaxy S9 and Galaxy S9+ were announced on February 25, 2018, but reports that work on firmware development stated that work had begun for the models by the end of September 2017. 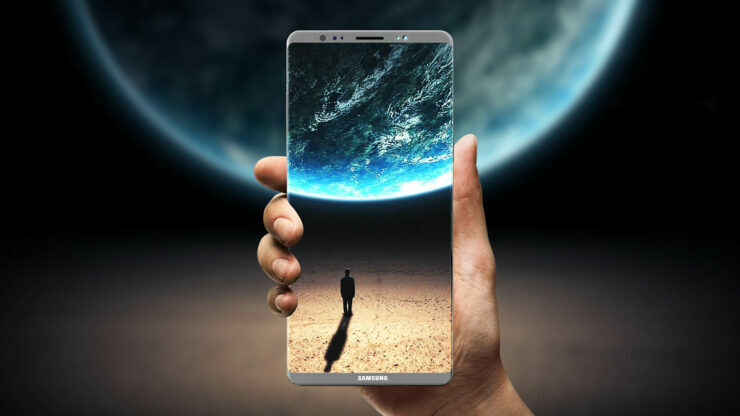 Galaxy Note 9 would be the Korean giant’s second flagship smartphone for this year and as per recent reports, it could be Samsung’s first phone to come with an in-display fingerprint scanner. The firmware builds are apparently being tested globally and it should be noted that Samsung didn’t start firmware development for Galaxy Note 9’s predecessor until April last year. Now, we are getting reports that the firmware development for Note 9 has started two weeks earlier. The pattern was the same for Galaxy S9, as its firmware development started two weeks before that of Galaxy S8. The Galaxy S9 was also launched a month earlier than Galaxy S8, so the earlier firmware development for Galaxy Note 9 could, in fact, be suggesting that the phone will be launched earlier than the Galaxy Note 8. In case you need to freshen your memory, the Galaxy Note 8 was introduced on August 23 last year. We will definitely get to hear a lot of Note 9 rumors and leaks in the coming months like we do in the run-up to the release of every flagship of major companies. However, whether the Galaxy Note 9 firmware developments have actually started or not, the phone will not be released before the second half of this year.